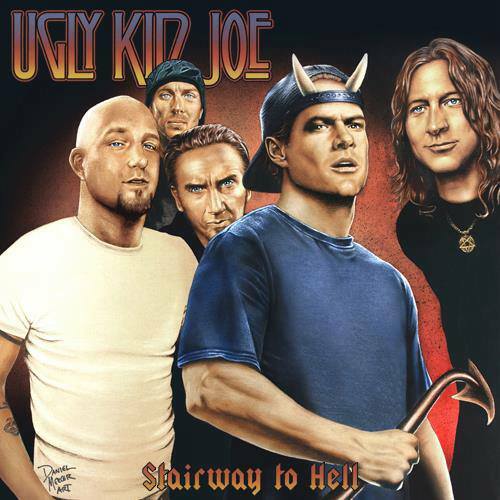 Ugly Kid Joe officially disbanded in 1997 after seven years together, racking up record sales exceeding five million worldwide. “20 years after their last hit”, these California rockers have reunited and returned to reclaim a spot among rock’s elite. 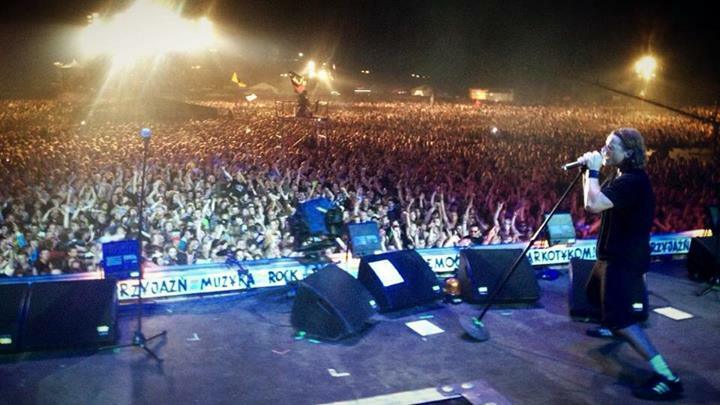 With a recent blockbuster concert, playing in front of 500,000 people at the Polish Woodstock, the band is poised for success. In September 2013, PlanetMosh’s Iris North briefly spoke with guitarist Klaus Eichstadt, prior to the band’s UK jaunt. 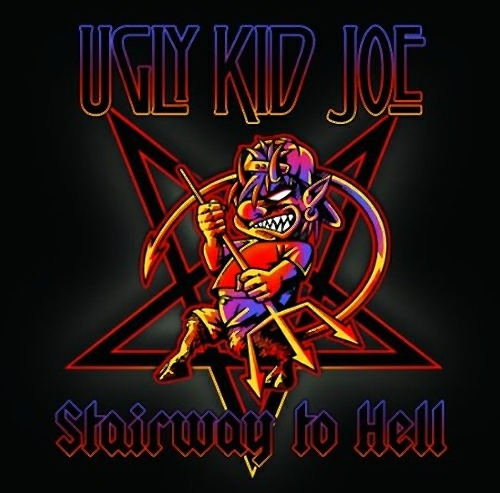 Ugly Kid Joe recently recorded an EP, titled Stairway To Hell. Featuring guest musicians Fishbone and fontography that pays tribute to two of the greatest band : song combinations (Led Zeppelin‘s “Stairway To Heaven” and AC/DC‘s “Highway To Hell”), the EP contains six tracks. The ‘deluxe, hard copy’ edition features three bonus acoustic tracks and video footage. The band has had a theme, “pretty much from the get go”, that everything is a parody of something else. It continues to today: Whit did an interview with InfoMusic in Romania, and he told people to go out and steal the band’s EP. It seemed weird or surreal to hear a musician tell his fans to steal his tunes. True to the band’s theme, it’s part parody, part sarcasm, and part honest to goodness truth. Whit’s best friend explains “he meant, however one can, listen to the music.” Purchasers of the physical media – the actual hard-copy CD – will have, among treats like art and a booklet, the $12k, pro-shot, Hollywood-slick video.